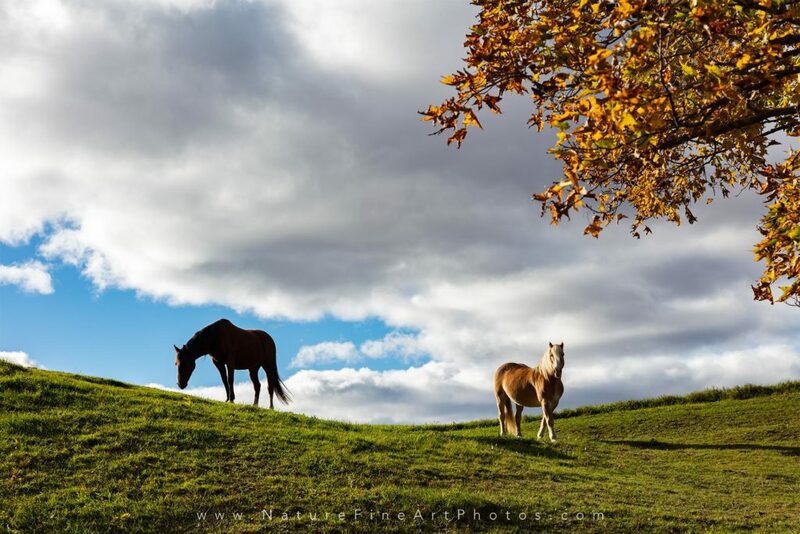 Fall Foliage New England: Whether it’s apple picking in the orchards or leaf peeping in the mountains we decided to take a trip back to my old stomping ground Upstate New York for fall foliage. We timed the fall foliage perfectly. 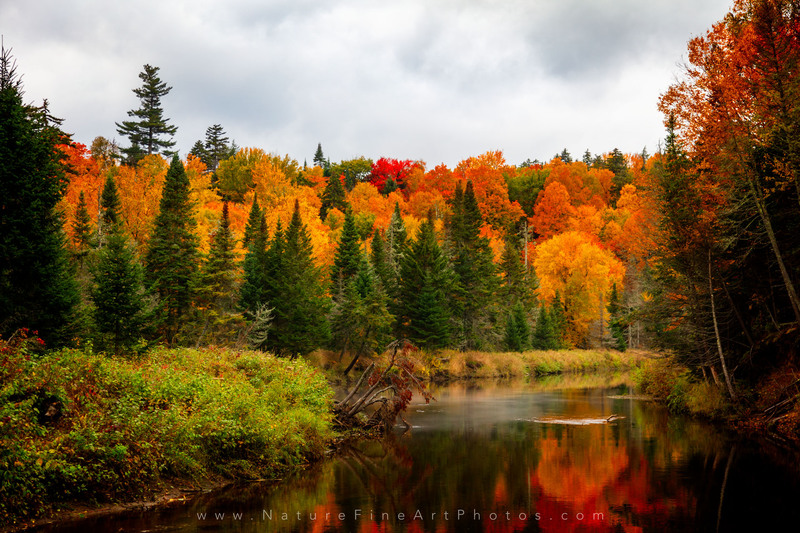 The trees were at peak with leaf colors of reds, oranges, yellows and everything in between. We started our trip off with a beautiful drive to Keene Valley, Lake Placid, and Whiteface Mountain. The weather was in the 70’s, the sun would peak out at times just enough to light up the colors of the trees. Along the highway the trees stood proud and looked like they were reaching out into the street with vibrant colorful leaves on the branches. 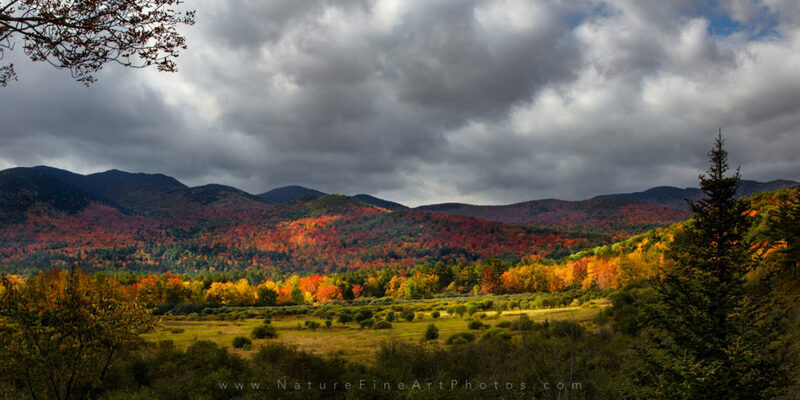 I couldn’t get enough, we had a long 10-hour day of fall foliage photography. The last warm day of the season we took a boat out on Lake George in upstate New York. The weather was perfect about 75 degrees and a beautiful blue sky. 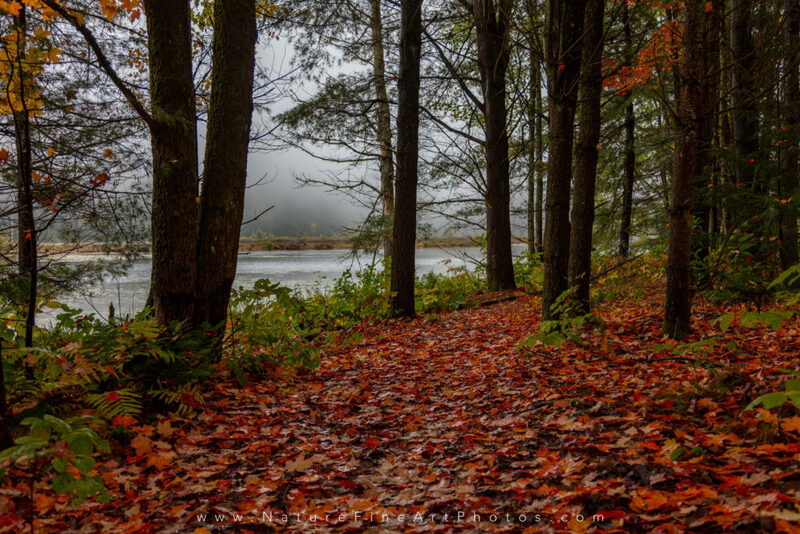 The trees surrounding the lake were becoming fall foliage splendor. Touring around the lake we found a nice island to dock. The water was 60 degrees but that didn’t stop us, we took a nice afternoon swim in the refreshing lake water. After our swim, we basked on a warm rock as the sun beat down on us. The sound of the water was gently hitting the rocks which put me in a happy zen state. Closer to sunset we flew the drone around the many islands in the narrows. When the sun was ready to retire for the night we headed home for dinner, we had an early start in the morning to Vermont. A hunt for fresh maple syrup from a Vermont farm is on the list today, but first we needed to make a pit stop to visit a high school friend of mine. We met up for lunch and chatted for a while. It seemed like just yesterday that we were in high school together, but its been much longer. As we were saying our good-byes, he handed me the cream of the crop maple syrup. It turned out to be a special brew from a friend and he was kind enough to give us a bottle. This made my wife very happy. Vermont farms here we come! We are now on our way to Sleepy Hollow Farm, and Jennie Farm. We were a couple days late past peak for Sleepy Hollow Farm. It had been windy and the leaves had fallen off many of the trees, but it was still beautiful scenery. Next on the list is Jennie Farm. 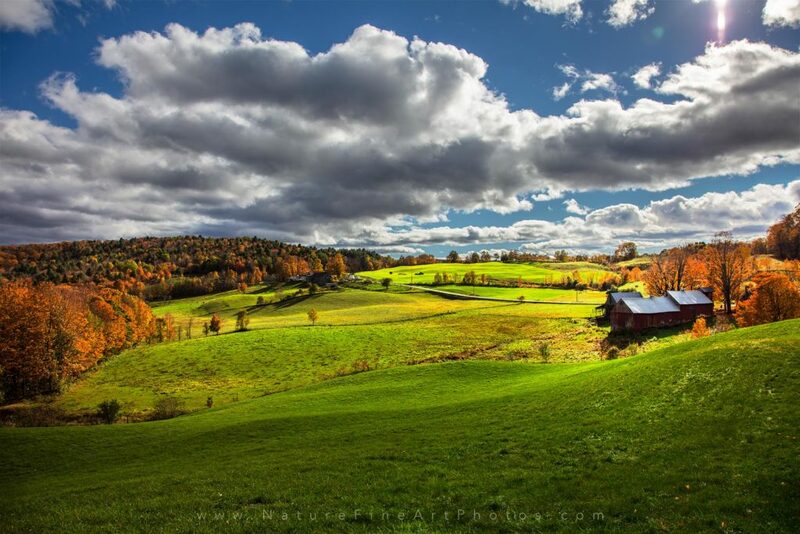 This farm has green rolling hills, colorful trees, and cute red barns. The sky was cloudy when we arrived, it was a bit chilly, so I bundled up and waited for the sun. I felt that if the sun came through the clouds the colors would be exceptionally vibrant. After about an hour the sun peaked out through the clouds and lit up the entire scene. The green grass looked like mint green grass and the trees lit up like colorful candlesticks. On our drive back to the Adirondacks, we drove past many quintessential Vermont farms. Some horses were grazing on the green grass and another farm had a social cow and a zebra standing next to a covered bridge. This was a photographer’s perfect fall foliage day. At this point there wasn’t much light left and we headed back to the Adirondacks to meet up with my parents and niece and nephew. 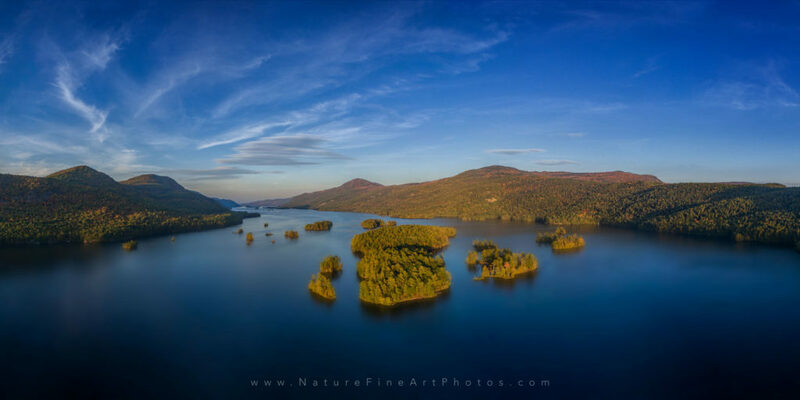 It’s time for a leg-burning, fall foliage hike with 360 degree views from a watch tower – Mount Hadley hike in the Adirondacks New York. Driving up the mountain we passed a red barn with horses grazing in the grass. This grabbed my attention with the light shining down on the green grass. I had to stop and take some photos. The hike was basically climbing up a muddy, steep creek bed. It was a beautiful hike with the fresh mountain air and colorful leaves on the ground. 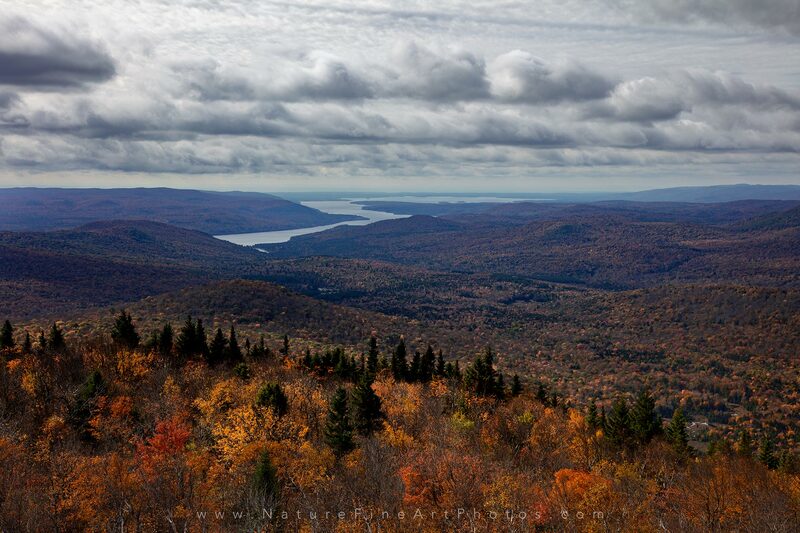 When we reached the top, we were blessed with panoramic views of fall foliage for miles. Time to head back down the mountain. Apple picking in the orchards in on our list today. My wife, a Southern California girl, had never been apple picking. I wanted her to have the complete New England experience with maple syrup and apple orchards. We packed everyone in the car and headed towards Hick’s Orchard in Granville, New York. The orchard did not disappoint. The barn smelled like a bakery with cider donuts, hot apple cider, fudge, pumpkin cookies and numerous other delicious treats. After tasting everything in the store, it was time to pick apples off the trees. We picked about 6 different types of apples and each one was amazing. These are real apples. They all had a tart, sweet taste and a special snap when you bit into it. They taste like a completely different fruit from our California apples. Next time we will lose some weight in our luggage for New York snappy apples. This concludes the end of our journey. Until next year! View nature photos for sale.